They will be leaving Islay on Sunday morning, so if you're around and would like to see her you still have time. I think it's well worth taking a look, I love her elegant lines. 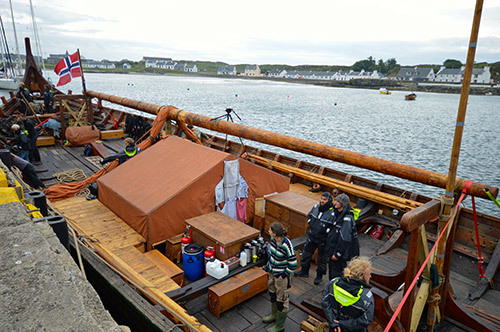 Oh, and in case you're wondering why the title of the entry reads ‘A Viking Ship visits Islay (again)’, almost exactly seven years ago another (much smaller I believe) Viking ship visited Islay. 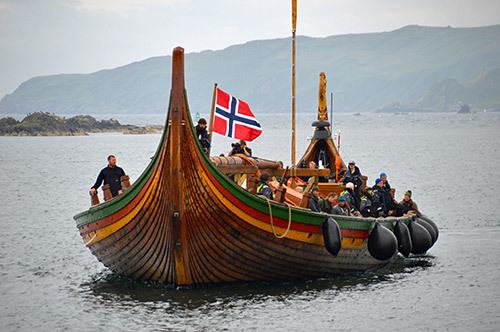 I hope this won't be the last Viking ship visiting Islay, I'm sure the Draken Harald Hårfagre would be welcome again. 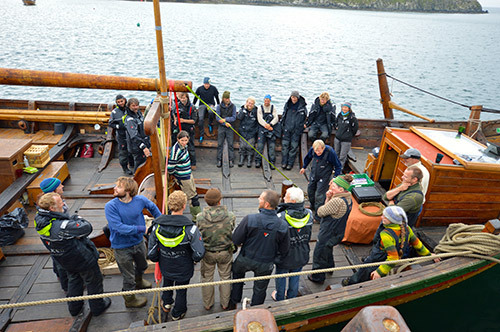 For more about Draken Harald Hårfagre's journey you can follow them on Twitter @DrakenHH or visit their Draken Harald Hårfagre Facebook page.